Metalflex was formed in 1999. Since then the company has rapidly become one of the UK’s foremost manufacturers of flexible stainless steel and hose assemblies. 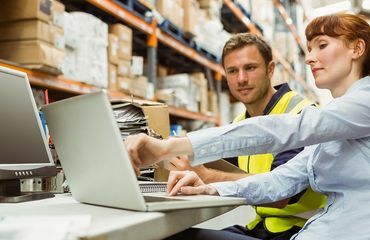 Today the organisation operates from a wholly-owned 10,000 sq ft unit which has been strategically located close to the M6, M62 and M56 for same or next-day delivery. They employ 14 staff and have in excess of 500 regular customers. Metalflex purchased prof.ITplus in January 2015. "The support and resources we’ve been given to guide us through the process of moving to prof.ITplus have been very impressive indeed"
At OGL we pride ourselves on our Implementation Pathway which all new customers work through to ensure the process of integrating prof.ITplus and replacing old systems is as smooth and as effective as possible. Featuring five milestones: consultancy, planning, training, Go Live and transition, the Implementation Pathway ensures our customers have a clear understanding of what is involved at the outset of being a prof.ITplus customer and have assurance of OGL’s support, experience and expertise throughout. We were delighted to hear that Metalflex, a manufacturer of hose assemblies and ancillary products, has been impressed with everything we offered them during their recent pathway from QuickBooks to prof.ITplus. The Director of Metalflex, was down at OGL’s offices receiving prof.ITplus training and we managed to catch up with him to find out just how good his experience of prof.ITplus and OGL has been during the nine months since purchasing the system. 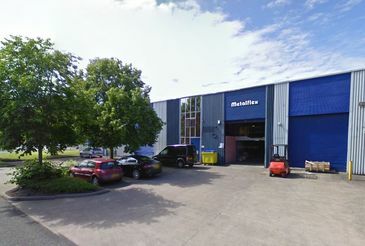 Kevin Crowe, prof.ITplus Consultant, was Metalflex’s first point of contact with OGL and during initial meetings Metalflex were very keen to stress to Kevin that he wanted the new system to replace his, and the fellow Directors, memories! Metalflex commented that one of the best examples of this was their discount parameters.